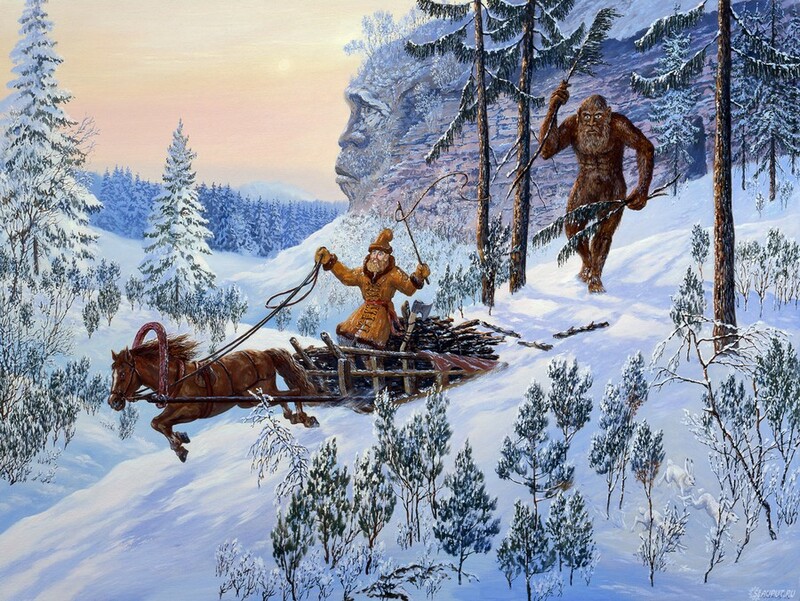 Allegedly, Russians are the descendants of the ancient aliens. 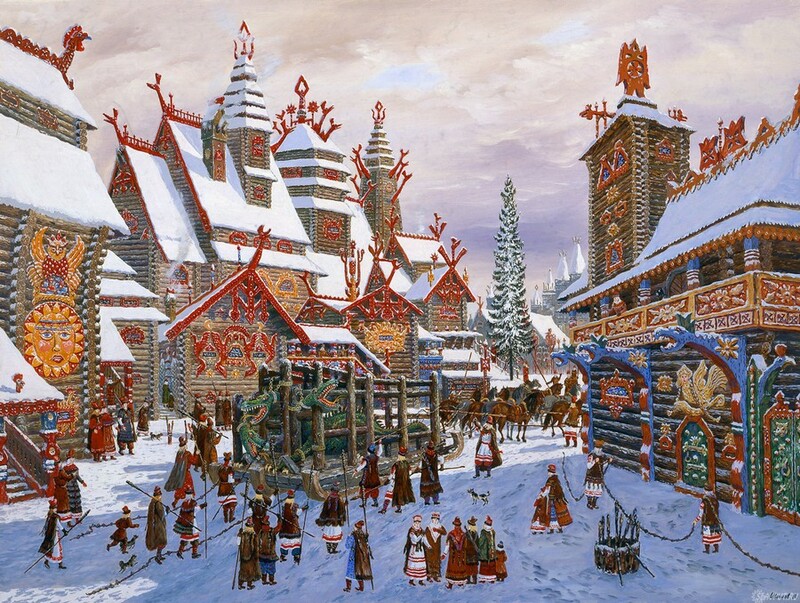 The artist Vsevolod Ivanov presents us the Ancient Rus’ as he imagined it. 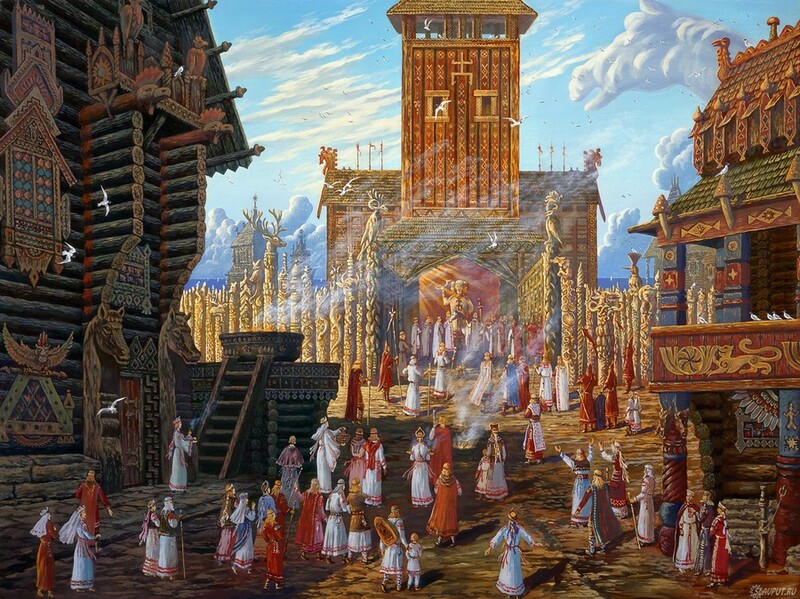 He is deeply convinced that the history of ancient Russia is distorted or fabricated. 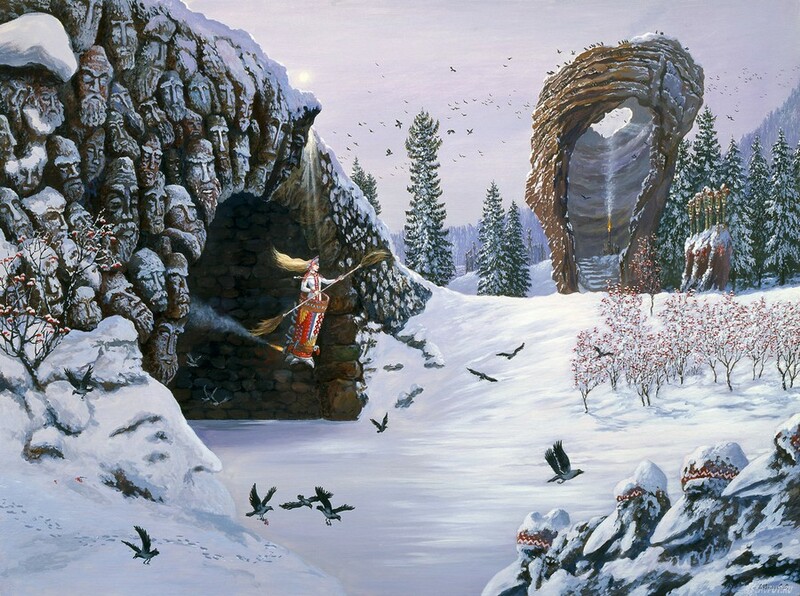 Ivanov collects old tales and legends and creates his own vision of ancestors daily life. 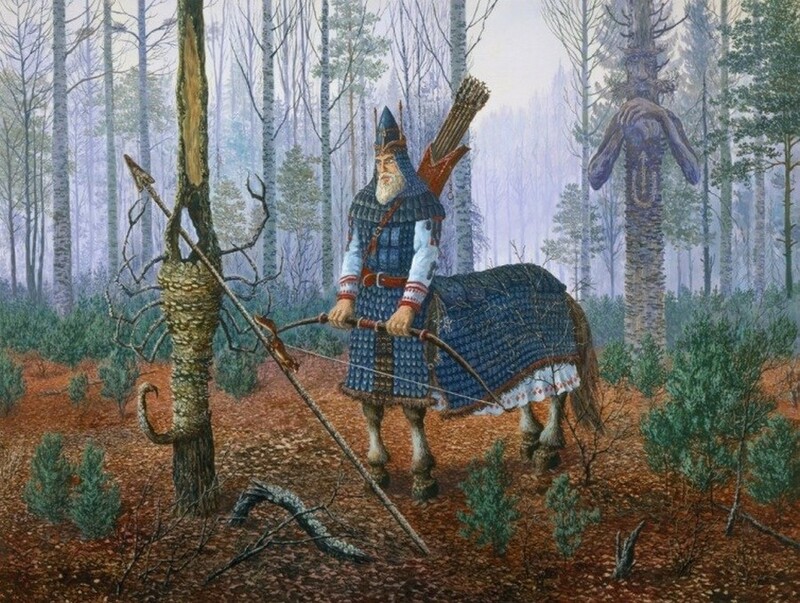 His speculative artwork consists of the series of paintings named “Vedic Rus'” where he exhibits the true reality of Russia’s past. 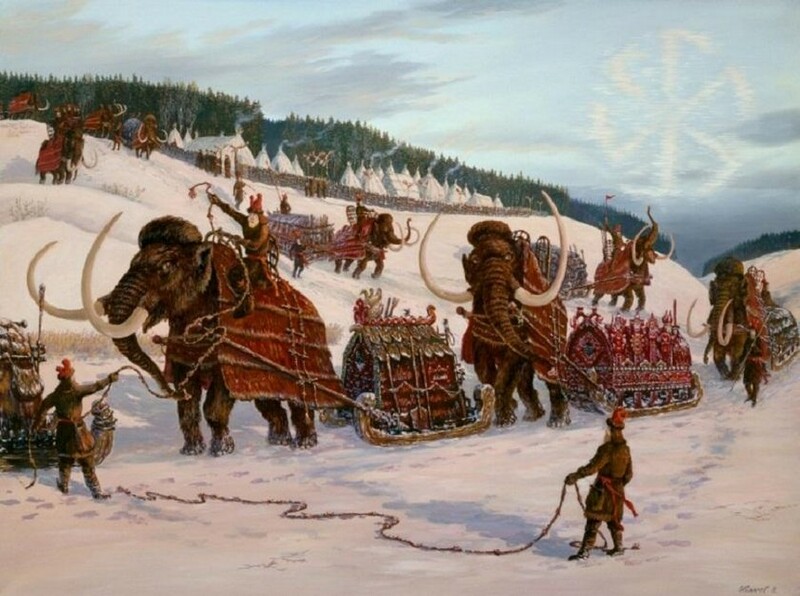 According to Vsevolod Ivanov, alien ships, domesticated mammoths, dragons, Atlantis inspired architecture and mythical characters were part of the ancient Russian civilization. 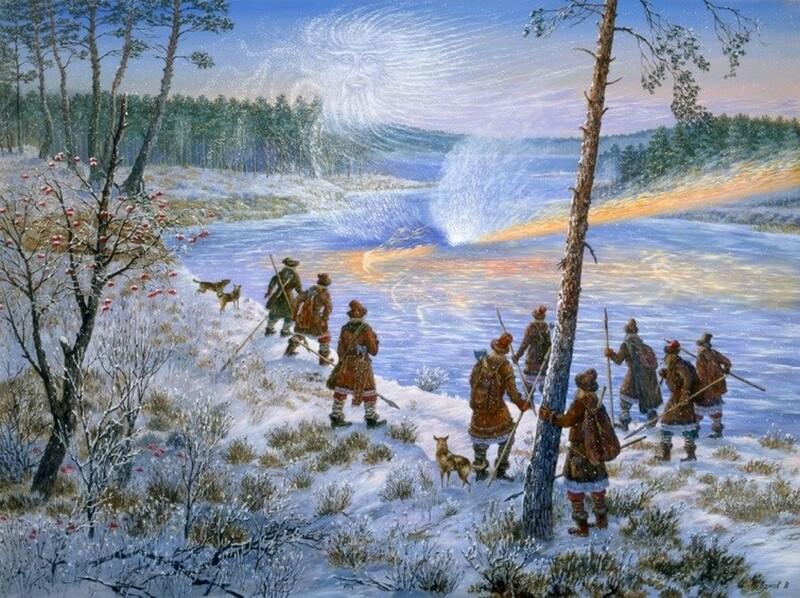 There is an old legend about a huge monster living in the Brosno Lake, Tver Region. 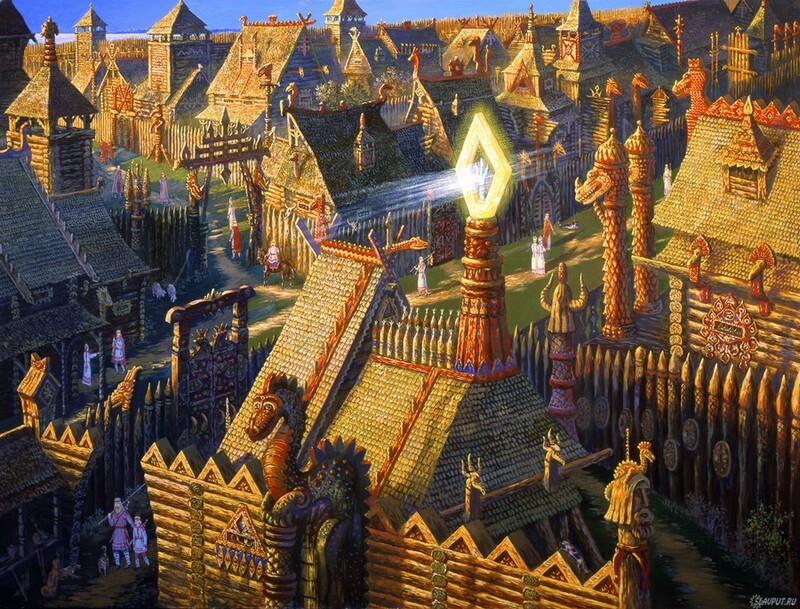 The locals managed to catch it. 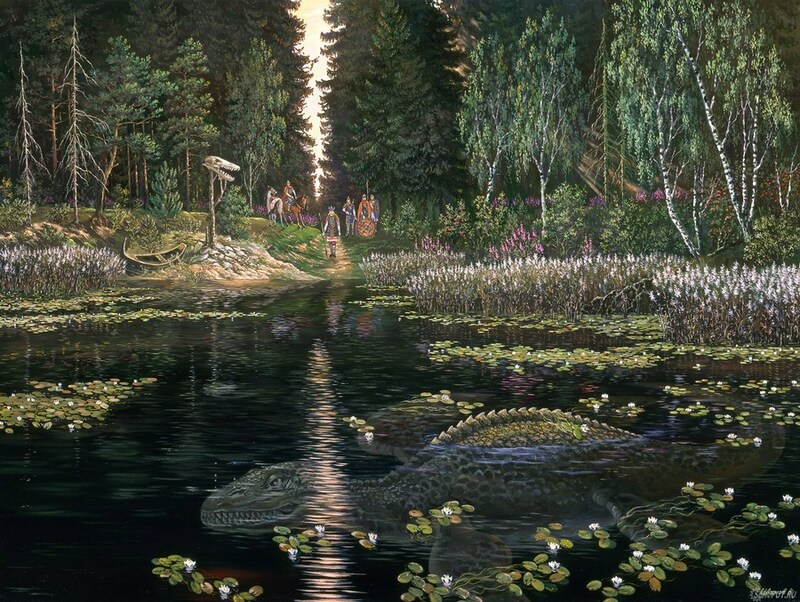 According to them, it was a huge reptile similar to a plesiosaurus, or pliosaurs. 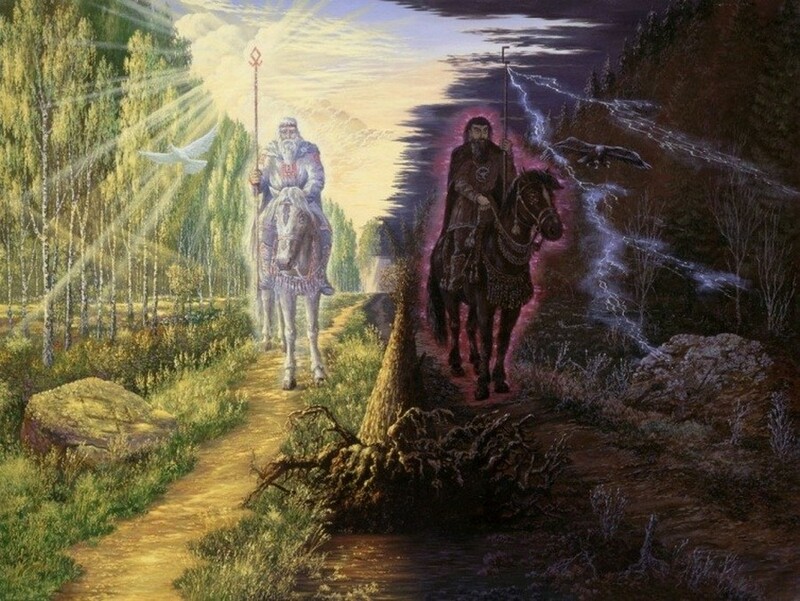 As in the Chinese dao philosophy, ancient Russians believed in the duality as well, Ivanov says. 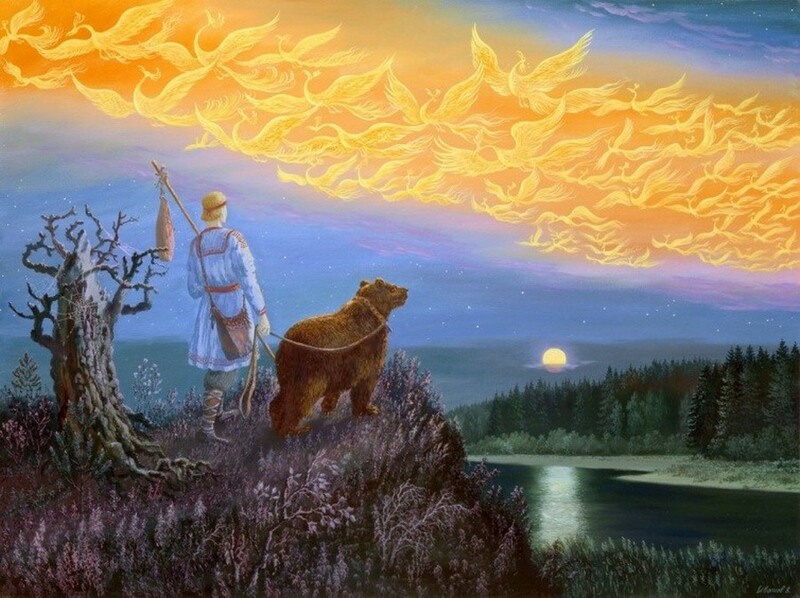 The Landing of Perun, The Slavic god of thunder and lightning. 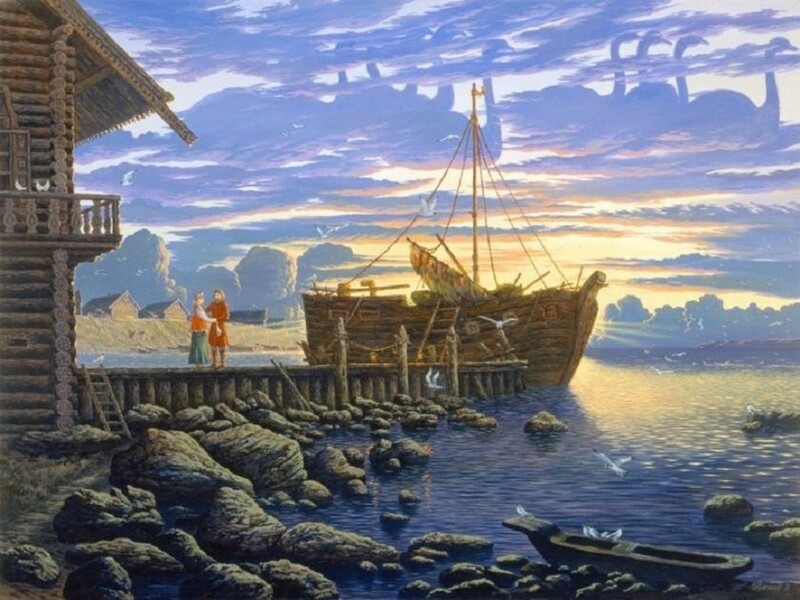 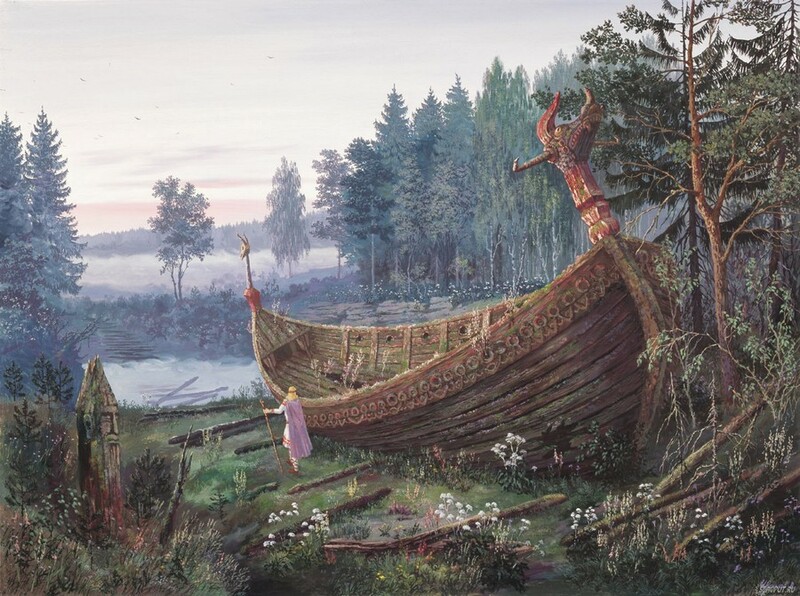 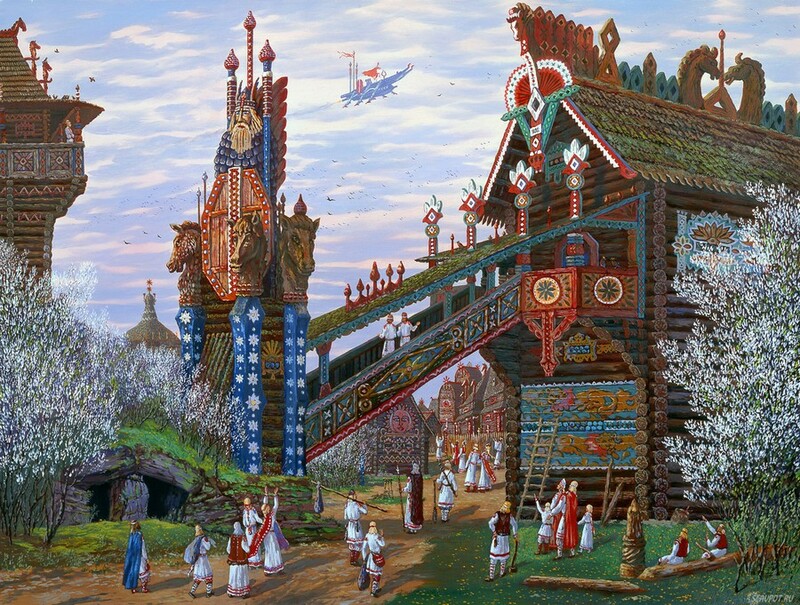 According to the legends Knyaz Rus’ had a “heavenly ship” at his disposal, which was used for “floating” in the sky. 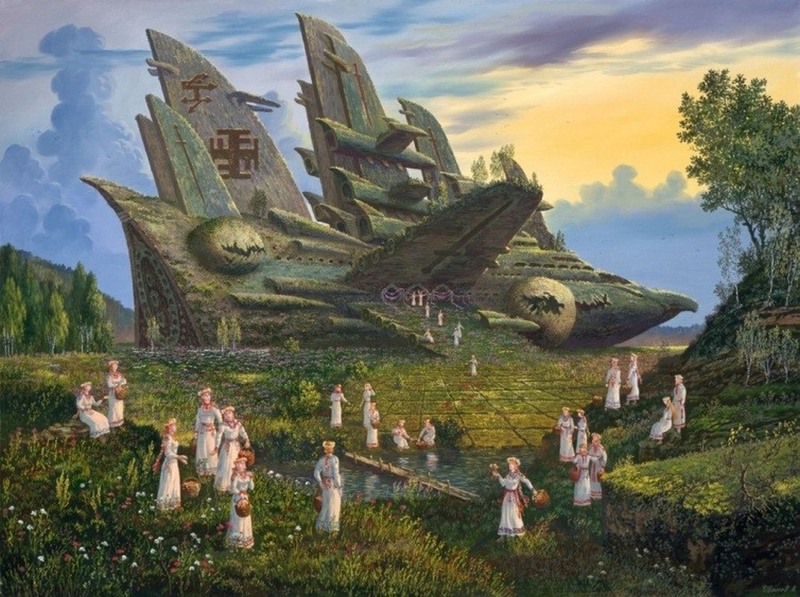 Here Ivanov vaguely discusses the possibility of connection of the Ancient aliens and Russian ancestors. 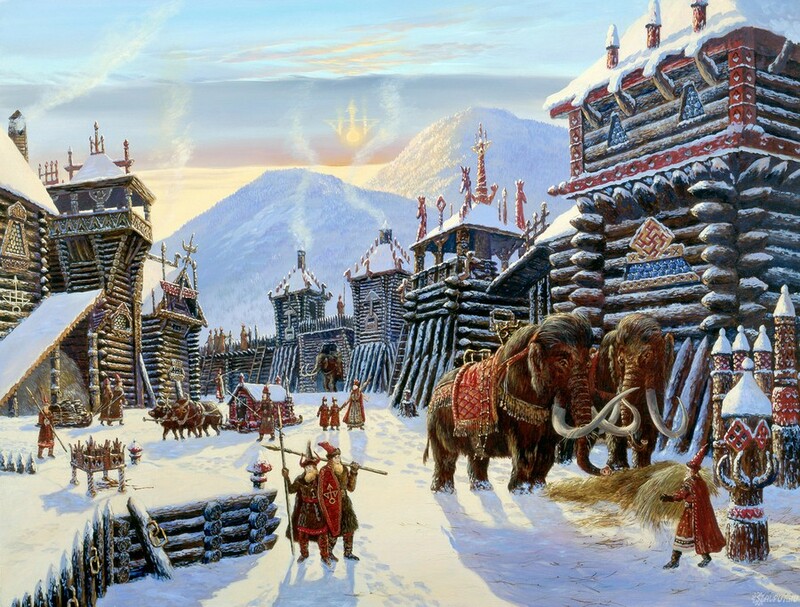 Domesticated bears were a common thing back then, according to Ivanov. 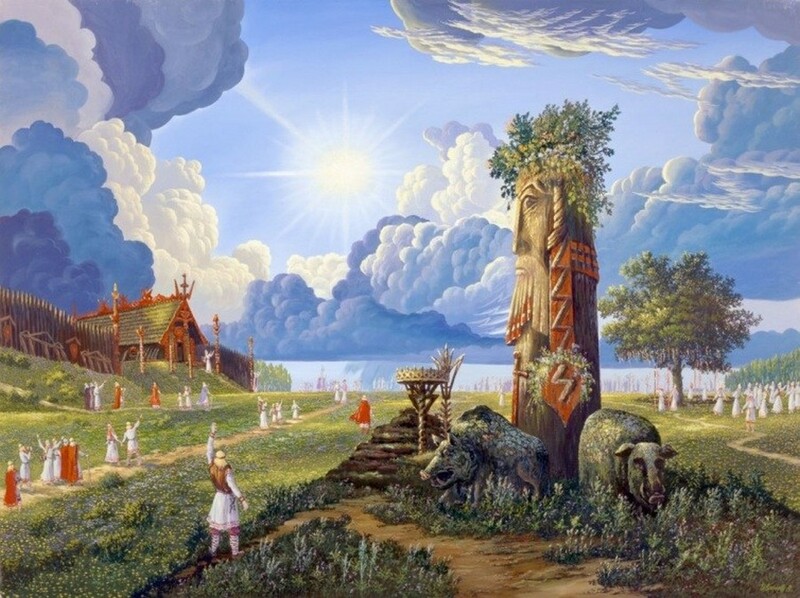 A few logs short of a Dacha maybe, but what an artist!